We love this quilt design! This project was designed by Yvette M. Jones, and the example you see was made by Marian B. Gallian and machine quilted by Kathy Carbine. 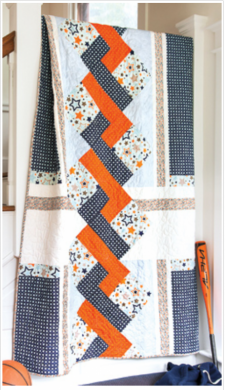 The project comes to us from Fons & Porter and the PDF download has everything you'll need to create this free quilt, and is great for any level of quilter. Isn't the faux braid wonderful? Enjoy!